This is a beautiful story of love, hope, and freedom based on a Memoir by Author Lily Amis, Destination: Freedom. At the start of the book Lily and her Mum, Sima, live with her grandparents in Asiacity. 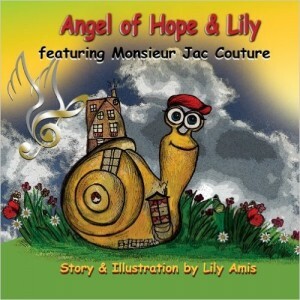 Lily has a delightful little buddy, a snail named Monsieur Jac Couture. Their humorous exchanges are bound to make any child laugh. They are all happy together but when war comes, Sima feels they must flee. Lily has to leave her beloved grandparents, her home, school and friends. The story is narrated by the Angel of Hope, who has been invisible to them but always their protector and guide. During their moment of despair, the Angel appears to comfort and guide them. Sima and Lily have a rough start as refugees in Zurich, Switzerland, but they are strong and their love for one another gives them a fighting spirit. Sima is able to find employment and their life begins anew. Lily has challenges but her amusing and loyal buddy, Monsieur Jac, lightens the tough times with his humor and friendship. Lily makes new friends, does well in school, and has funny adventures in a summer camp. But always there is the love of her mother, and the care and guidance of the Angel of Hope. It is a heartwarming story of a mother’s sacrifice and devotion to her daughter, and of Lily’s resilience and adjustment to a whole new world, with her sadness turning to strength and happiness. The Angel has wise advice to children about being true to themselves and following dreams; of treating others with respect and tolerance regardless of differences; and to pursue education for the opportunities it provides. This is a beautiful book with lovely, colorful illustrations and a message of peace, love, and hope. I highly recommend it for children. This is a beautiful story of love and friendship between a homeless cat and her rescuer, Lily. It is based on a true story. Peanut, the cat, is the narrator, which leads to amusing conversations in Peanut’s mind: “Of course I’m a Princess,” to Lily’s question, are you a Prince or a princess? Lily finds Peanut abandoned, scared, and hungry. She opens her heart and home to Peanut, named by Lily for her small size. 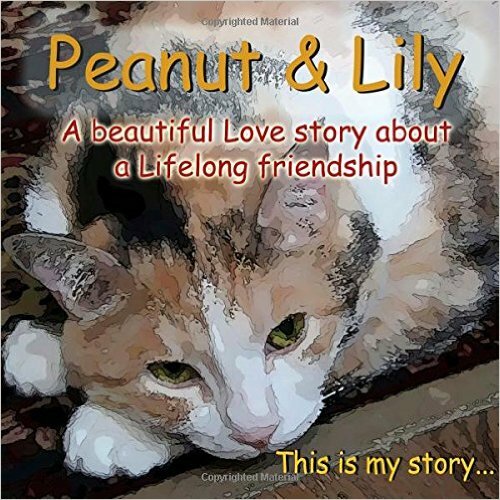 Peanut thrives on Lily’s love and attention but soon difficulties arise, forcing Lily to give up Peanut twice, though Peanut always trusts Lily’s love. 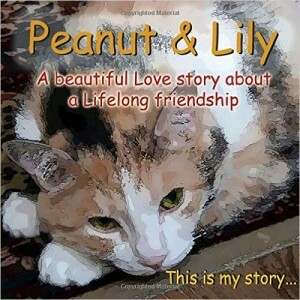 In the end, Peanut finds love, security and her forever home with Lily, her BFF, best friend forever. Peanut’s parting wish is that people will reach out with love and attention to animals in need, no matter how difficult life circumstances may be. The graphic designs by Amis, based on photos of her cat, are charming and delightful. It is a heartwarming story, which I highly recommend. I just want to say a big THANK YOU for your great Reviews about my two children’s books. I preciate it very much and Im very happy to hear that my messages of love, care, friendship, peace and hope touched you! Thank you so much for your comment Lily! I loved your two children’s books, beautifully written and illustrated. Children will love the stories and your message of love and friendship.